This past week has been a very busy one for me. On Sunday I hosted my sister’s bridal shower and with the help of my two best friends we were able to successfully pull it off. Two days later I attended the Vermont Library Association Conference. It was a lot of fun, though I look forward to attending it again minus crutches. VLA is a great way to network and see what other libraries around the state are doing. I attended a few different lectures. They were all interesting in their own ways. 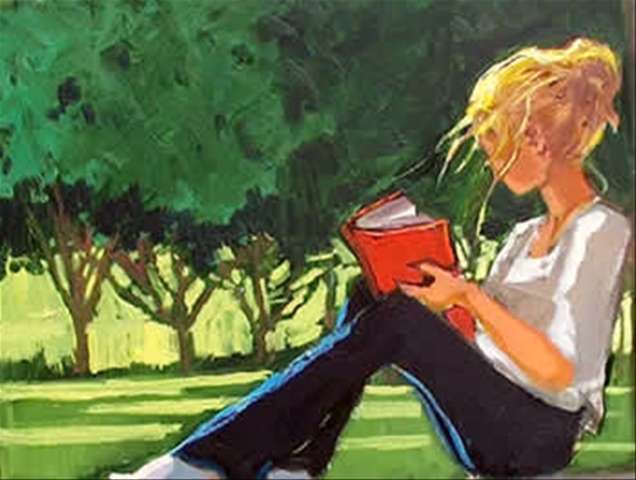 One of the lectures I attended was titled “Rapid Reviews” this is one I try to attend every year because its great to hear actual people review books they have read over the year. The books are broken into categories and suggestions are given. I have hopes to add some of the titles reviewed to our collection, they will be a great addition to our collection and I feel our patrons would like the titles. Another program I attended was all about the Red Clover and Dorothy Canfield Fisher books for next year. While I am not a children’s librarian it was great to stay up to date on what books are on the local children’s award lists. This appeals to me as I studied children’s literature while I was in college. It was funny when I would talk to friends from home and tell them I was reading Winnie the Pooh for homework. Another thing I did this week was to teach a very basic introductory class to PIntrest. While there were only two people who attended, at least I was able to connect with them. When I am working with someone one-on-one it forces me to slow down and think things through. I have to mentally translate things in my mind and try to explain them in a way anyone can understand. I have hopes that I was able to explain why so many people are drawn to using Pintrest and how it can be useful. When I was talking to my roommate last night we were talking about college degrees and who of our friends are actually using their degrees. While at school I received an English degree. While it may not seem like I am using my degree, I actually use it on a daily basis while at work. My knowledge of children’s literature is great when I am talking to patrons about certain books and being able to say which one comes first in a given series. There are so many projects and crafts that can be coordinated with children’s books. 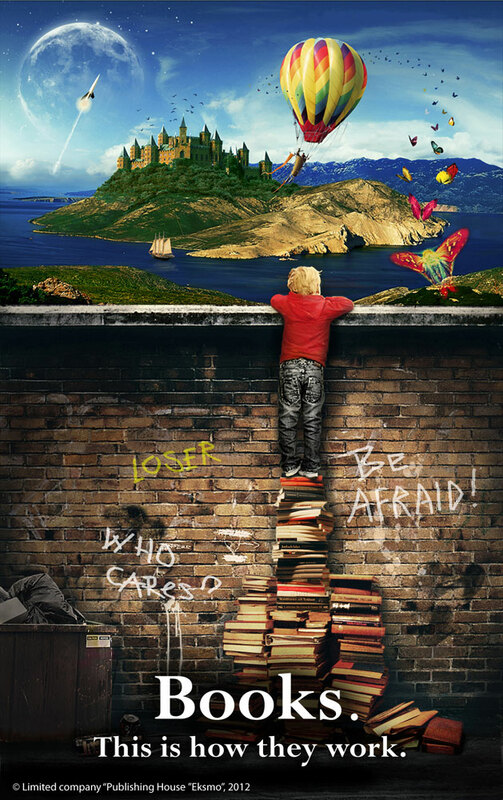 Pintrest is a great source of inspiration if you want ideas for projects to pair with books. Books & a broken foot! I’m about halfway through my cataloging class! After this I need only one more class before I get my certification next year. This for me is very exciting. Next Tuesday I will be attending the Vermont Library Association Conference. This is a great way to meet other librarians around the state and pick their brains for new ideas to apply or adapt at the library. Now you are probably wondering about the broken foot… Two weeks ago I thought I had simply sprained my ankle after missing a step getting out of the two truck after my car broke down. While I did sprain my ankle, I also broke a bone in my foot. It’s what is called a dancer’s fracture… I call it annoying. 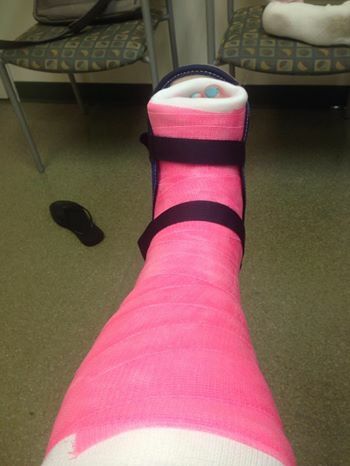 For the next few weeks my foot and part of my leg is encased in a neon pink cast. I want to make sure people can see me walking, right? Back to the part about books. The cataloging class is interesting. We are looking at different fields which make up a good record each day and writing by hand in those fields. While this may seem like tedious work to look at the records for the same 51 books for a total of five days. it is the idea of repetition will help it to sink in our minds. I have to admit when I was at work the other day, I did look at the records differently. This is a good thing because it means my mind is changing the way I assess what is a good record and what is a so so record. So for the next few weeks I get to be a super librarian on crutches with a neon pink cast. Think the kids will find it funny? I have not forgotten about the blog, but I do apologize for not posting lately. My life has been extremely crazy lately. I am finishing up the last of the credits (hopefully) that I need for my Vermont Library Certification. To me this is a pretty big deal because it is something I have been working towards for the last three years. My last class (fingers crossed) will be on Friday, May 16th! Outside of work and classes I am also busy planning my sister’s bridal shower and doing a lot of running around for that. So as you can tell I have a lot on my plate right now. The class I am currently taking is all about basic cataloging. As a cataloger it’s great for me to be able to work with others to learn the new rules of RDA cataloging as opposed to AARC-21 cataloging. The class is a lot of hands on work mixed with lecture. This is great because of the repetition and breaking down the fields a little at a time to have it drilled in my mind what fields correspond with what type of information about the item in front of me that I am going to catalog. A lot of the cataloging that I do on a daily basis is called “copy cataloging” but there are the few rare occasions when I have to do original cataloging. In all honesty I try to avoid doing original cataloging like the plague. (Sorry listening to Dan Brown’s Inferno right now). When I haven’t been in class, at work, or running around like crazy getting things done for the bridal shower, I have been able to spend a little time with friends. One friend in particular and I have been arguing about the roles of libraries in today’s economy. The reason for our argument is that we stand on different sides about our local library and a bond vote of three million dollars to redesign the current library. Being a librarian I do openly admit to being biased and also I know some of the people who work in the library we are arguing about so that adds additional bias to my side of the argument. I feel that libraries are important institutions in today’s economy because we offer so much more than just books. We provide technology to those who may not have access, programming, databases, technological help, classes, and so much more. We also see people of all ages come through our doors every day. Libraries are changing the way people see us and we are becoming more of a community center and the heart of towns. Now don’t get me wrong, I absolutely love the fact that my friend feels strongly enough to argue with me about this because it’s not often I get to argue about the importance of libraries to someone who does not work in the field. It’s also great that as one of my best friends he can see something that is important to me and makes a conscious effort to argue and agree with me about the importance of libraries and books. OK that is enough rambling for today. Until next time!